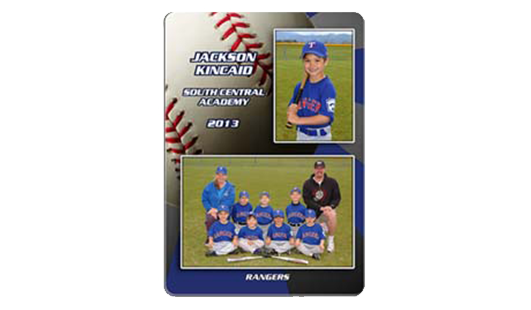 We offer a wide variety of composite 8×10 memory mates with your child’s team and individual portrait. 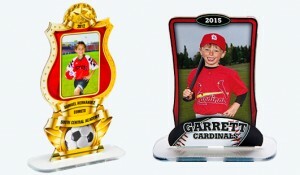 We personalizes each memory mate with team name, league name, and year. Download your photos today! Our convenient digital download product lets you download photos quickly and easily by visiting yourphotodownload.com and entering the provided code to access your photos. 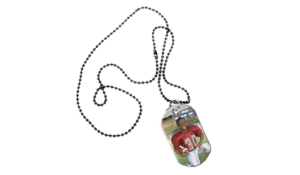 ID tags are a catchy way to show off your favorite player. Individual image is displayed on one side, with Player Name, Team Name and Year on the other. 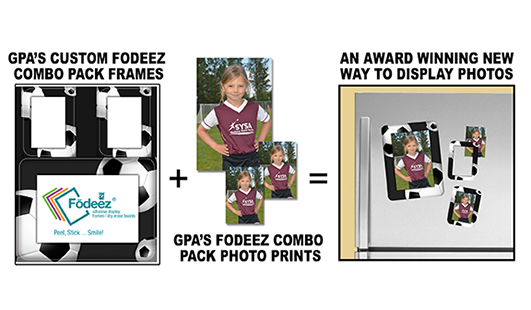 Fodeez combine our custom combo pack frames and a photo print pack for an award winning new way to display photos. We offer several different styles of magnets. Calendar and Composite Memory Mate Magnets are 5×7. 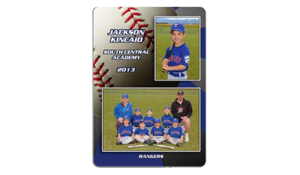 Regular magnets are cut from a 3×5 image and come in either oval or rectangle. Our trading cards are offered in contemporary styles, a cut above the rest. They are double sided and will make each player a real star. 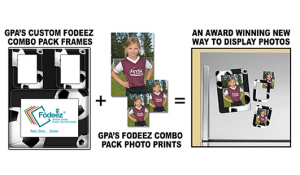 Photo Trophies are 4.25″x6.75″ and are innovative, stand up trophy displays that show the athlete’s image, along with text and graphics. Desktop Designer Standups show off your favorite athlete, anywhere! They look great on your desk or mantle. Presenting ESPN Products, Featuring SportsCenter Graphics! ESPN FX pack: (1)8×10 Individual, (2)5×7 Individual, & 4 wallets, All with ESPN SFX graphics! Legends Magazine Covers showcase rich color and superior graphics. They look like they are right off the magazine rack! They are customizable with individuals name and team name. 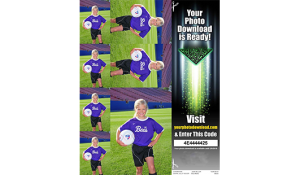 Image balls are a great keepsake, available with individual or team image & year. Sizes: Regulation size; baseball, softball and hockey – mini size; basketball, soccer, football and volleyball. 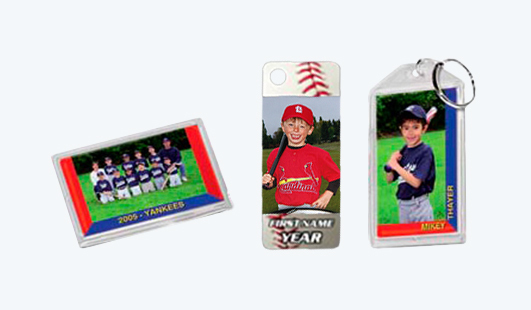 Our Memory Mate Keychain shows off both the team and individual, measuring just over 2″ x 3″. 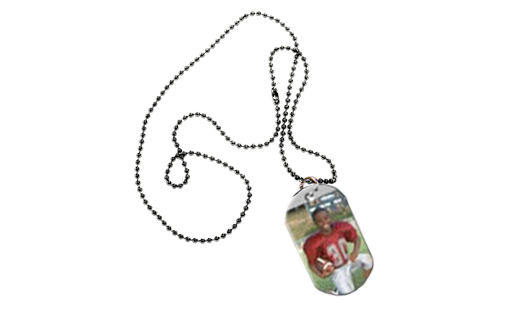 We also offer a PVC Key Fob and ID Tags that feature your athlete or team wherever you go. Our 3D print is the most innovative product for youth sports. They are customized with individuals name and current year.